I'm not pure Filipina but my heart is 100% pure Pinay especially when it comes to snacks. I grew up nibbling Filipino tsitsirya. 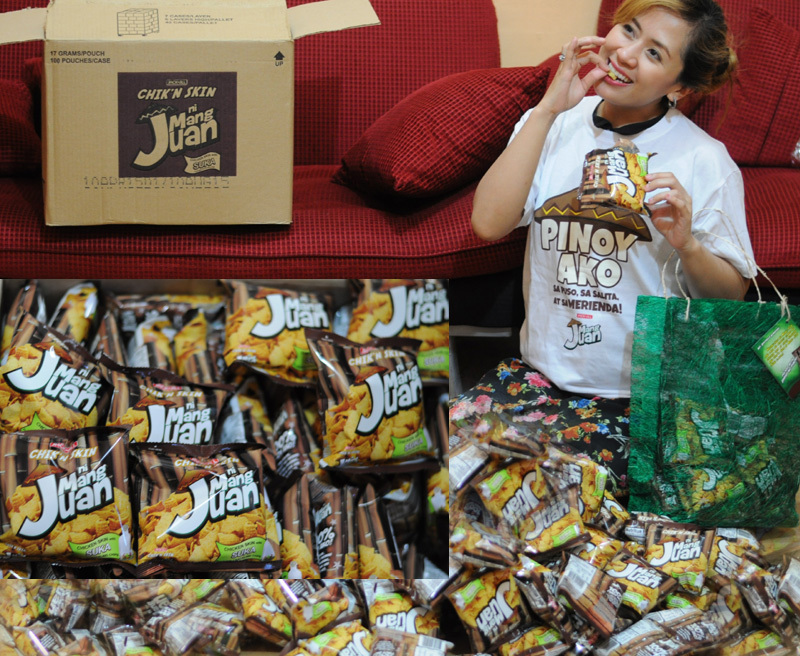 Those tasty and crunchy uniquely Filipino bites are timeless and will never grow old in every food-loving Juan’s palate. Those who crave for their good old favorites can enjoy Jack ‘n Jill’s latest offering, Chik’n Skin ni Mang Juan with Suka flavor. This delectable treat perfectly combines the flavor of popular fried chicken skin and the sour and spicy punch of vinegar. 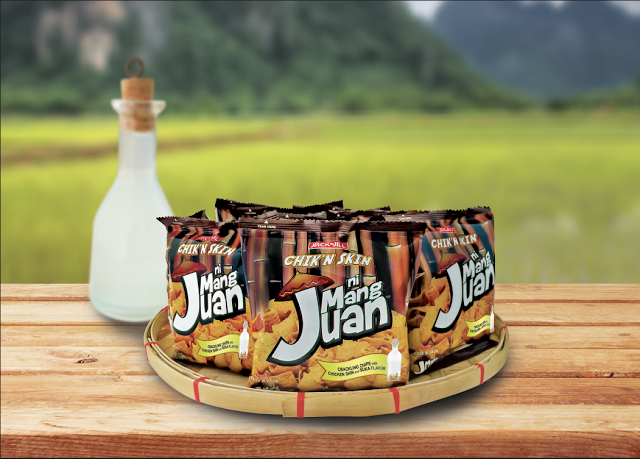 Because anything this delightful should be enjoyed down to the last crumb, Mang Juan came up with a word that perfectly describes how to consume a pack of Chik’n Skin ni Mang Juan Suka—“simumot”—completely consuming this pack ‘hanggang sa huling mumo’. Whenever the true Pinoy in you starts craving for that irresistible crunchy, sour and spicy taste of chicken skin, be sure to grab a pack of simumot-worthy Chik’n Skin ni Mang Juan Suka. Now, you don’t have to visit restaurants or food kiosks to enjoy the goodness of chicken skin and suka. The favorite snack infused with vinegar is made available in groceries and supermarkets nationwide.